In what can only be described as another nail in the iPod Classic’s coffin, Apple has now removed all click-wheel games from the iTunes store. The games, which have been there in some way, shape or form since the original iPod was launched ten years ago, were available via a drop-down list which appeared when clicking just to the side of the ‘App Store’ link in the iTunes Store. Now though, all mentions of the click-wheel games have disappeared. Few could argue that the Classic has had a hell of a run, though. Originally released ten years ago, the first iPod revolutionized the way we listened to music when on the go. Taking over from the world of portable CD players and mini-disc players – anyone remember those? – the iPod offered to hold most people’s entire music library on something that was about the size of a deck of cards. We loved them back then, and ten years later, we still do, and the iPod touch has taken the iPod saga to a whole new level. The iPod was doing so well, that even HP decided they wanted to get in on the action. Few reading this post will remember the HP branded iPods that were available at one time, though they never really took off, and HP eventually dropped the line. These days, it’s all about touch-based input, and even though the iPod Classic has grown in capacity, the advent of cloud-based storage and services such as Rdio, Spotify and Rhapsody have left people less inclined to keep thousands upon thousands of tracks on their devices. Apple clearly believes that people prefer small form factors and multi-use devices to what amounts to a huge mechanical disk drive housing music. In a world where people own smartphones capable of streaming music on demand, from anywhere in the world, do we really need to carry a whole library of albums around with is? Apple doesn’t seem to think so! With Apple’s ‘Let’s talk iPhone’ event a few days away from now, we’ll get the official word from Apple itself who bites the dust and who moves on with an ‘all new design’ moniker. 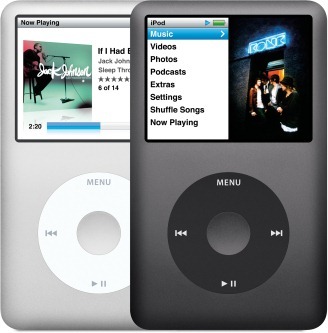 O comments on "The iPod Classic’s Days Are Numbered, Apple Removes All ‘Click-Wheel’ Games From iTunes"